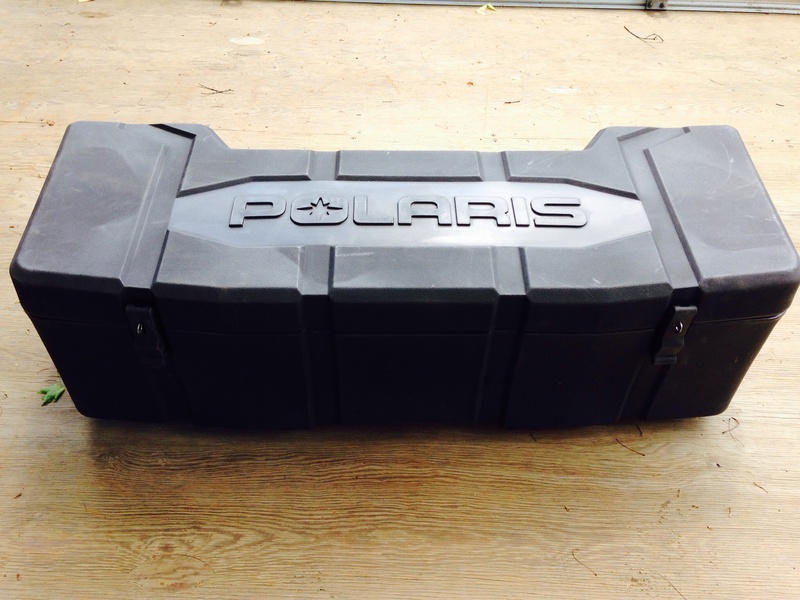 I bought the original lock and ride rear cargo box for my 2009 550XP a couple of years ago and it worked great. About a year ago I bought a 2018 570SP and I thought it fit fine until I got on some bumpy trails with it. It constantly comes off unless I have a bunjee securing it. I have adjusted the lock and ride anchors but nothing seems to work. Has anyone else had this experience? Last edited by bsponenberg; 02-05-2019 at 11:05 AM. yup, i bolted mine down from inside with screw bolts and some big stainless fender washers. I have all my boxes mounted with 1/4-20 J-Bolts (down thru the rack hole and hooked on bottom side of rack), Fender washers and Plastic Wing Knobs. Secure & Easy to remove! 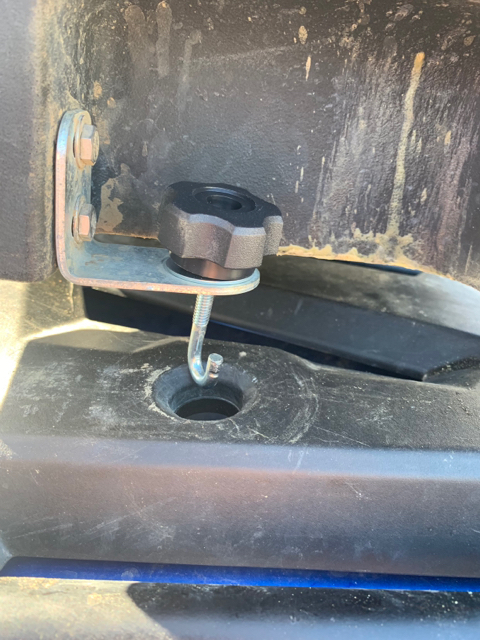 so remove the lock and ride mount from the metal bracket and replace with that? That's where I'd start.... I never liked the idea of the Lock & Ride rubber [email protected] plugs, so I drilled my boxes to match the L&R hole pattern (w/ a 17/64" hole) and used the j-bolts, washers and wings to secure. Note, the j-bolts to impede into the box by about 1.25-1.5", but really not much worse then the L&R clamp handle. And for the security, piece of mind and cost difference.... I can easily live with the bolt leg in the box. Once you have all the items installed "loosely" in the box.... set it on the rack, dropping the j-bolts into the L&R holes. Then "fish" them around until they "hook" on the rack hole lip and then simply spin the wing knob until "good & hand tight". I think the J-bolts I purchased from the hardware store (Fleet Farm) were about 3" long. I had to slightly pinch / bend the "J" closed to fit down the L&R hole and the rest is as explained above. Last edited by MustBeNice; 02-06-2019 at 09:44 AM. might recommend a star washer between the fender washer and the wing nut to keep them from accidentally backing off. "There are no problems. There are only Solutions. It's your job to find the right one. 8" LED light bar on the front bumper. Badlands 2500 lbs. winch w/remote and Kong winch saver. Not a bad idea, for an added layer of protection & piece of mind. Maybe I've gotten lucky, but I haven't used one and have gotten by with my "Good and Hand Tight" method on the wing knob.... or basically hand tightening it until I physically can't -or- think the knob will break. Prior to using the knobs, I used Nylock Nuts and a deep well socket and/or a ratchet wrench. The change to the knobs came when our son wanted to have the box on for some rides/uses, but not all.... so I went to the knobs. Just wanted to follow up and say this worked out great. Easy on and off and very secure. Unfortunately the longest j bolt I was able to find was 2.25” at ace or Home Depot. Fastenal has a $25 minimum on counter purchases. On the look out for a 3” j bolt. Thanks for the great idea. Very much not a fan of the lock and rides. 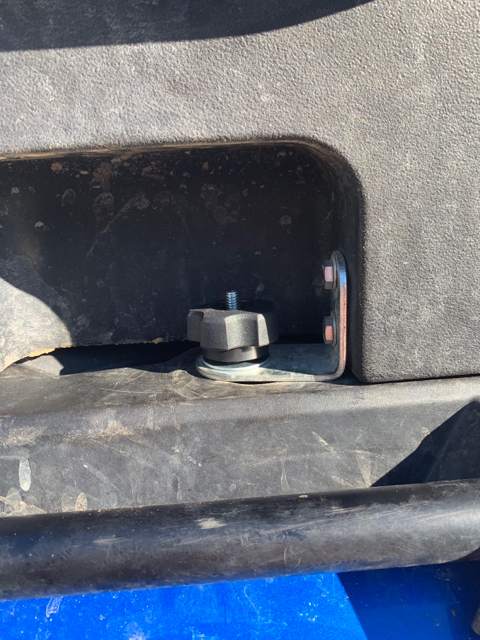 I have a kimprex rear seat/storage that I mounted by drilling directly through the back rack and through bolting with 6 (3 per side) 3/8" x 3/4" stainless steel bolts, large 3/8" flat washers and lock nuts. Used a piece of thin rubber between the Kimprex and my back rack at each bolt up spot. If you are looking to have the rear seat/storage easily removable then this is not a good option. For me, I have no reason to remove it. The kimprex has been on for over a year now and ive had zero issues with it or the way it's mounted.